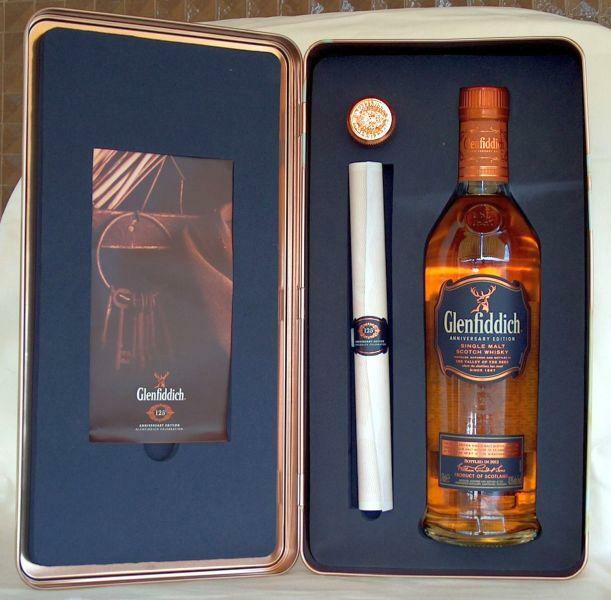 For the birthday a beautiful malt - unfortunately without age - but in noble metal box with metal knob cork and certificate. Smoke! Rubber, graphite, burned wiring, burnt wood, earth, nuts, caramel, sweet apple, marmalade, candy, lemon. Interesting release this one. 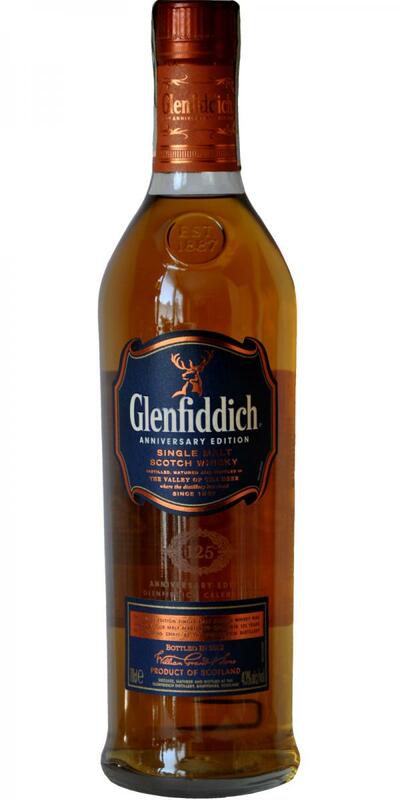 I probably appreciate Glenfiddich better without the peat but like the limited releases that offer something else. Sometimes it can go really well. This would be much better if the fruity notes normally associated with the distillate came forward a bit more and it is doable. AnCnoc Stack is an excellent example of a fruity spirit that keeps the distillery character despite the peat smoke. A spirit that is more balanced and not smothered by the smoke. Malty with lemon and quite substantial peat smoke in comparison with the what is usually detected in Glenfiddich. Smoked licorice, salted banana and some canned fruit cocktail behind the smoke. Soft arrival with salty peat smoke. Some ripe banana and vanilla on the development but the peat smoke is really upfront revoking the fruity notes. Became slightly better with some water though. Savory and smoky with salted banana in the background which disappeared rather quickly. Expected a longer finish from the palate. 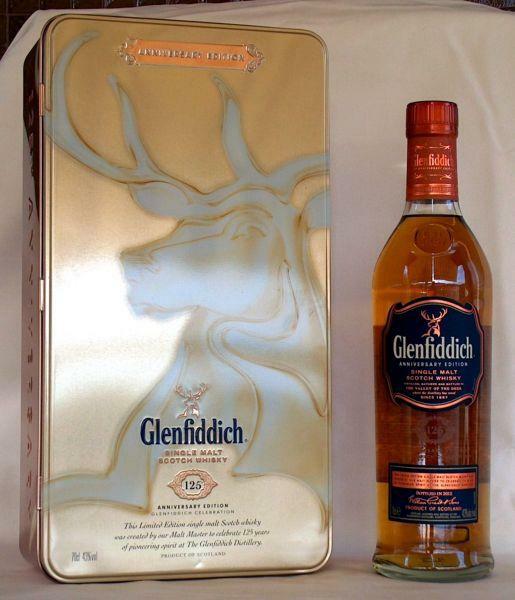 I would never get blind on Glenfiddich. That's something else. I like it in total. A little more volume of alcohol would have been nice. Gladly more of the experiments. Not bad, reminds me from memory at the https://www.whiskybase.com/whisky/73214/ardmore-tradition-peated and when I read my notes on this, that fits quite well. Only is the for less than 40 € / liter instead of 100 / 0.7 to have. So interesting experiment for Glenfiddich, nice expensive tin can, but to drink then rather the Ardmore tradition.